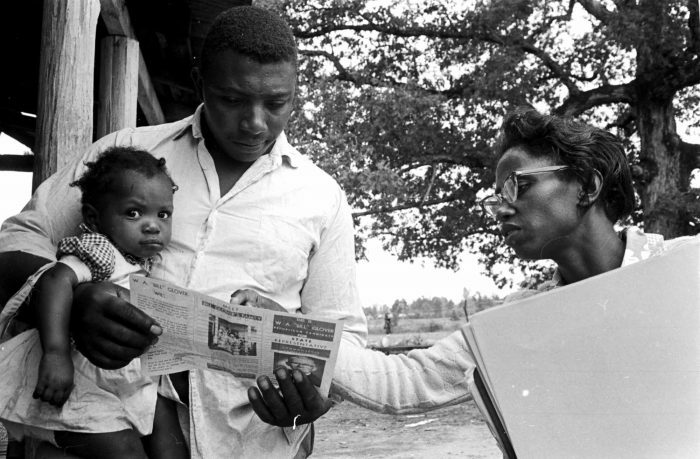 Man and woman looking over a brochure for a political candidate before election day in Lowndes County, Alabama, November, 1966, Photograph by Jim Peppler, Courtesy of the Alabama Department of Archives and History, Montgomery, Alabama. What can the immediate past teach us about voting rights, self-determination, and democracy today? 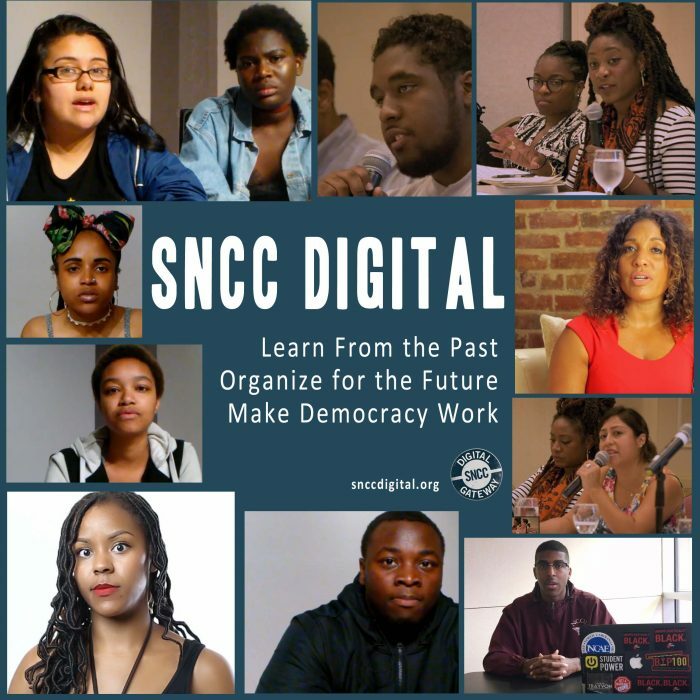 A new website created by the SNCC Legacy Project and Duke University explores how the Student Nonviolent Coordinating Committee (SNCC)—the only youth-led national civil rights group—organized a grassroots movement in the 1960s that empowered Black communities and transformed the nation. Told from the perspectives of the activists themselves, the SNCC Digital Gateway: Learn from the Past, Organize for the Future, Make Democracy Work (snccdigital.org) highlights SNCC’s thinking and work building democracy from the ground up, making those experiences and strategies accessible to activists, educators, and engaged citizens today. Generously funded by the Andrew W. Mellon Foundation, the site uses documentary footage, audio recordings, photographs, and documents to chronicle how SNCC organizers, alongside thousands of local Black residents in the Deep South, worked to enable Black people to take control of their lives. The gateway unveils and examines the inner workings of SNCC over the course of its 12-year existence—its structure, how it coordinated sit-ins and other direct action protests, and how it organized voter registration efforts and economic cooperatives to effect social change. SNCC had more field staff than any civil rights organization and was considered the cutting edge of the civil rights movement.